I actually wanted to do a post about the Assassin's Creed figures from McFarlane that I just received, but camera batt died on me while I was almost done with the photos. Oh well.. guess that will have to wait till tomorrow. 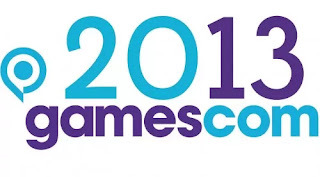 I'll post some updates on Gamescom 2013 in the meantime. Gamescom is currently going in Germany right now and Sony did their press conference last night. - Release dates for PS4 is out. Nov 15 2013 for US & Canada. Nov 29 2013 for UK, Australia and New Zealand. No news for Asia and Singapore yet. - Launch titles for PS4 has been revealed. Here's a list from IGN. - PS Vita as well as Vita memory cards will be getting a price drop. So nice of them to do it after I get one... haha! But it's a welcome piece of news. Will be great if I decide to get another. Borderlands 2 will be coming on the Vita as well. - Certain games purchased on PS3 will also allow you to get the digital version on PS4 at a significantly lower price. - Dualshock 4 controllers will come in Magma Red and Wave Blue as well. Somehow the DedSec guy reminds me of Anonymous..
At the end, you will see that the PS3 and PS4 copies will get additional in-game content with 4 exclusive missions, a white suit and a hacking boost. Cool if you are a PS3/PS4 owner. Ubisoft also have partnered with Sony to create a WatchDogs movie. This is in addition to several other movie-videogame projects that Ubisoft have planned including FarCry, Assassin's Creed, Rabbids, etc. A new trailer for Infamous Second Son as well..
Looks like Delsin will recharge his powers in a somewhat similar way to Cole, drawing power from electrical objects. A new gameplay vid for Assassin's Creed IV with first-mate Adewale explaining what life means to him.. The video also shows off the remote play feature using the Vita and PS4. An interesting feature that might come in handy to some but not really what I'm looking for. Why would I go for the small screen when there is a 40-inch screen available? Even if I don't have access to the TV, I would just wait rather than going for a watered-down experience. Part of the entire game experience is playing it on the big screen. Of course, this is just a feature giving you extra options rather than a forced decision. Like I said, it can be useful to some. Definitely a plus to have! But the best of the lot is the latest Batman Arkham Origins Trailer..
Had to save the best for the last..